﻿ EURO 2012 » Today Polish National Stadium in Warsaw open to everyone! 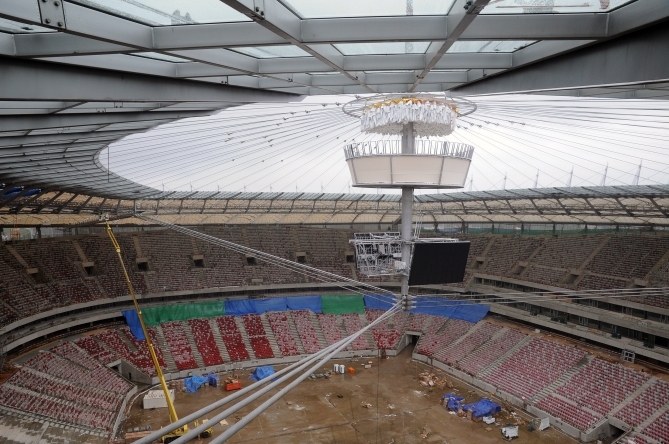 EURO 2012 > Euro 2012 > Today Polish National Stadium in Warsaw open to everyone! Today Polish National Stadium in Warsaw open to everyone! 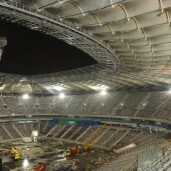 On 24 July 2011, everybody is invited to a Sunday Walk around the National Stadium in Warsaw. 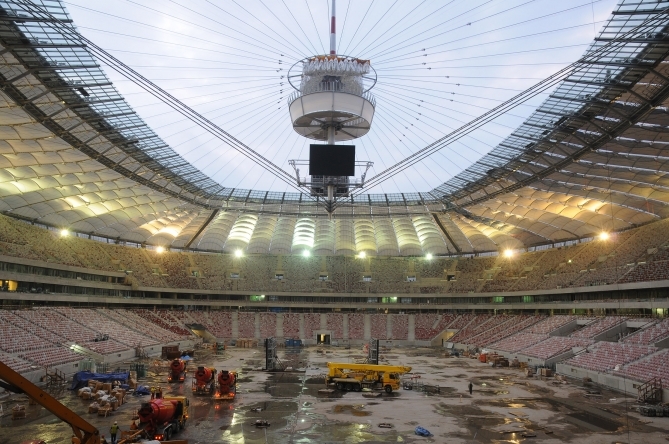 On this day the largest stadium in Poland will be opened for the first time to the inhabitants of Warsaw and all people wanting to see the interior of the Stadium. 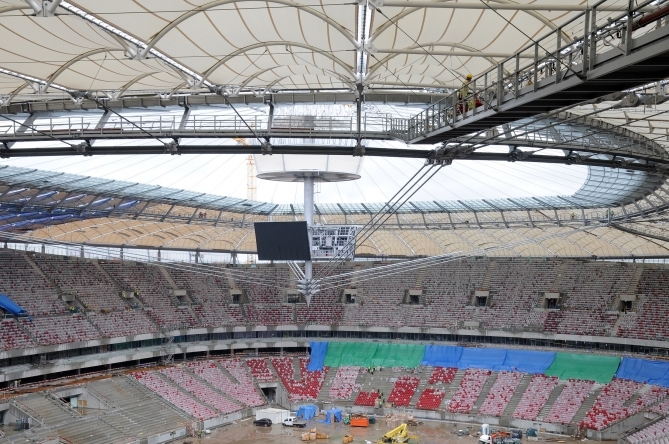 During the walk, everyone will be able to enter the pitch through the passage and see the interior of the Stadium – the two rings of stands for 58 thousand spectators, the 70-metre central spire or the large-size LED screens. On this day, specially for the participants of the visit, the LED screens will be started for the first time and will display a premiere show. 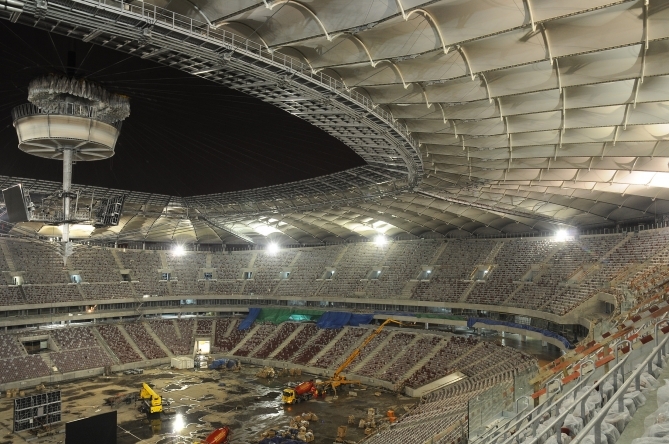 There will be an unforgettable opportunity to see one of the most advanced structures in the world – the roof of the National Stadium in Warsaw, whose moveable part will be ready soon. 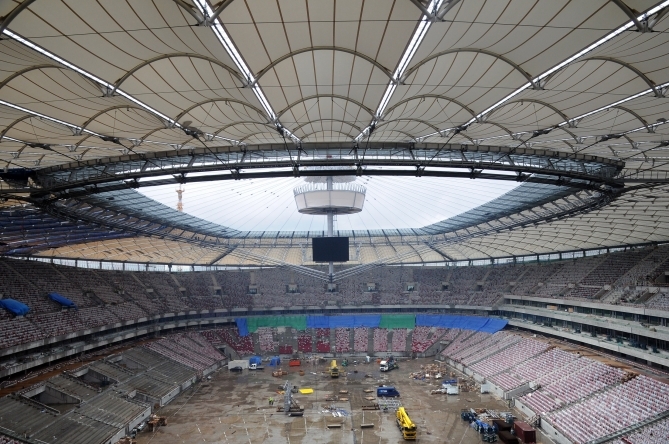 – From the beginning of the construction, the National Stadium in Warsaw arouses huge interest. We receive inquiries about the possibility of entering the Stadium every day. So we are much pleased that we can finally make our facility available to the public and we are looking forward to the visitors’ opinions – said Daria Kulińska, NCS Spokeswoman. A real attraction will be the opening of one of the stands so that everyone could take a seat and test visibility from the stand. 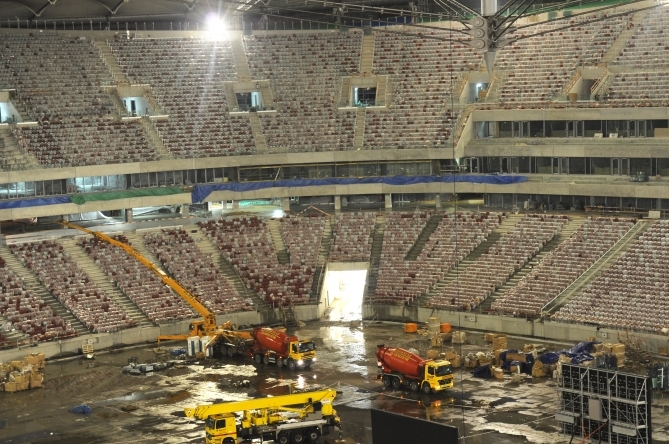 The pitch will feature an exhibition of historic photos of the 10th Anniversary Stadium and photos presenting the stages of construction of the National Stadium in Warsaw. All visitors are encouraged to take their cameras with them so that each participant of the visit could take a commemorative photo of the Stadium and immortalise the unique day. One of the interesting items of the agenda will be the opportunity to meet and interview our most important partners and friends of the National Stadium in Warsaw, including representatives of the owner, city authorities, people directly responsible for construction, architects and event organisers. There also will be attractions for children. The Sunday walk will be held on 24 July 2011 from 10.00 am to 6.00 pm. Admission is free. Visitors are encouraged to arrive by public transport or come on foot. On that day entrance to the construction site of the Stadium will be possible from W. Szczecińskie Street, at the pedestrian crossing by Poniatowski Bridge. And the exit will be located also from W. Szczecińskie Street, at the railway embankment. Please read the rules of participation in the Sunday Walk at the National Stadium in Warsaw – which include important information, among other things, for parents and cyclists.